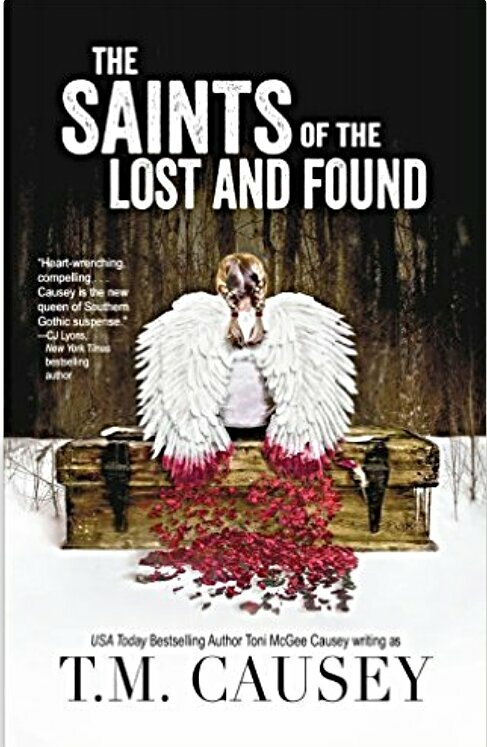 I liked this Southern gothic thriller about Avery Broussard, a woman with the supernatural ability to see lost things and people. This telepathic sixth sense has been a destructive force in her life and the book starts with Avery running away from a situation where she helped the FBI in a serial child murder case, but got the details terribly wrong leading them to the wrong location. Avery has quite the past with parents who were very eccentric mercenary con-artists. Her father also had special abilities and so does her older brother, Latham who is haunted by seeing the dead. Avery has been running away from her parents and a painful romantic relationship for eight years, but finds herself lured back when her father tells her Latham is dying and needs her. Once home and surrounded by the complicated detritus of relationships of her past, Avery finds that evil has followed her home. I loved reading about Avery and her relationship with her friends and family. Her special ability and those of Latham were compelling reading and really added an edge of curiosity to this thriller for me. The serial killer crime was chilling, gripping and horrific all at once. A few little errors spoilt it for me, like an vertical emergency c-section scar going down from the sternum and the management, or lack thereof, of Avery’s frequent, I presume from the description, grand mal seizures. The lack more common practice research in these cases showed and did detract a little from the enjoyment of this thriller for me. As much as I enjoyed reading Avery and the character as a whole, I found around the 60-70% Mark of the book that her frequent seizures and faints were hindering the progress of the story, particularly so as no one seemed to have access to simple drugs to intervene when she was fitting. This slowing of pace and extra emphasis on her medical issues and past relationship with childhood sweetheart Jack just felt repetitive without adding more depth to either situation. However, despite the things that annoyed me in the book I was eager to find out what happened right to the very end, which makes me conclude that the writing and plot of the thriller is strong inspire of any sticking points for me. A thriller worth picking up. It was really easy to get into.